In reality, this shouldn't even be a comparison. We all know what the outcome is going to be, yet we still love to see the results. That or we secretly hope that the phone in our pocket can really keep up with a Hollywood workhorse that is used to film some of the most popular movies and television shows that are being released. 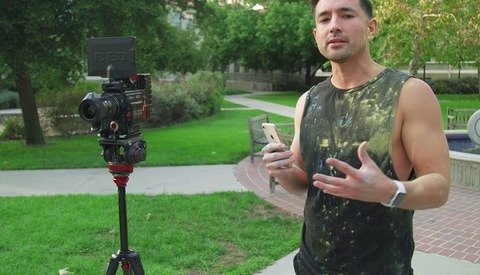 In this video, YouTuber Potato Jet get’s his hands on an Arri Alexa Mini with a pretty basic setup which still costs a ghastly $80,000 and compares it to an iPhone 7 Plus, which costs less than $1,000 or roughly $35/month if you’re like me and can’t commit to actually purchasing one. It comes as no surprise that a camera which costs the same amount as a small house on the outskirts of Nashville performs better than something that we carry with us everywhere we go. One reason that this isn't a fair comparison is the simple fact that nobody is going to try and film a full-length movie or television show with a device that was originally developed to make a phone call. 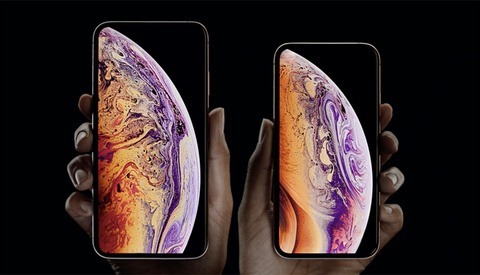 I’m not trying to say that the iPhone doesn't take fantastic video (for something that fits in your pocket and costs next to nothing) but it was never meant to replace or even be compared to a camera like the Alexa. None the less, we still love these comparisons and they will continue to be a topic of conversation for many years to come. >> One reason that this isn't a fair comparison is the simple fact that nobody is going to try and film a full-length movie or television show with a device that was originally developed to make a phone call. Tangerine, which did very well at Sundance, was shot on iPhones. And it's not the only movie shot that way. The thing is, except in cases of specific concept (like Tangerine, or iPhone commercials. Note that I didn't say Apple commercials), nobody will ever produce a pro commercial or a pro movie with a phone. It's just too cumbersome to handle and the client will have the impression that you're making a joke on him. Only after those reasons, image quality gets considered. The truth is that a lot of films don't need high iso or high DR capability. At which point you don't need much of a camera by modern standards. The cheat here is lighting. Under "optimal lighting" then even some of the cheapest point and shoots can look impressive. It's no surprise and we can't even compare the two. There's only so much that Iphone 7 can do while the Hollywood workhorse ability is like unlimited compare to Iphone. There's more then just image quality which is why professionals/most people would choose to shoot with a cinema camera like an Alexa, RED, f55, varicam, c300mkii, etc. It's also the ergonomics, flexibility on set, reliability, and workflow which to me is just as important to me as image quality. Not to mention how's manual control on a phone? For the most part your a slave to how the camera chooses to expose your image as opposed to telling it what to do. Most importantly how can I justify charging a client my typical rates if I just show up with an iPhone over my RED rig? Sure an iPhone may look decent but how is it to edit? I find it amazing how my computer has no issues editing raw 8k but hiccups/takes longer render times then 4K h265/XAVCHD! And being baked into 8bit??? Yeah no room for much grading in post! I think the thing that the video really shows is how much "quality in smaller packages" have evolved. Look at the Arri system. Sooooo much smaller than cinematic rigs of years past. I believe phones have killed off a big portion of the P&S and camcorder market. Even as a professional myself, I no longer take a separate camera on trips (photographers need a break form their gear..just like other professions). So, NO the phone will not overtake actual professional equipment for movies. However, at the consumer level, today's phone has much more capabilities than consumer camera/video devices of years past. I agree that cellphones are not as ultimately flexible as high-quality still or video cameras. I can also tell you that I have completed several commercial jobs where I did not allow the client on set nor tell them what equipment I was using, and they were quite happy with the finished product... that I shot on an iPhone 6SPlus.